OMG Posters! 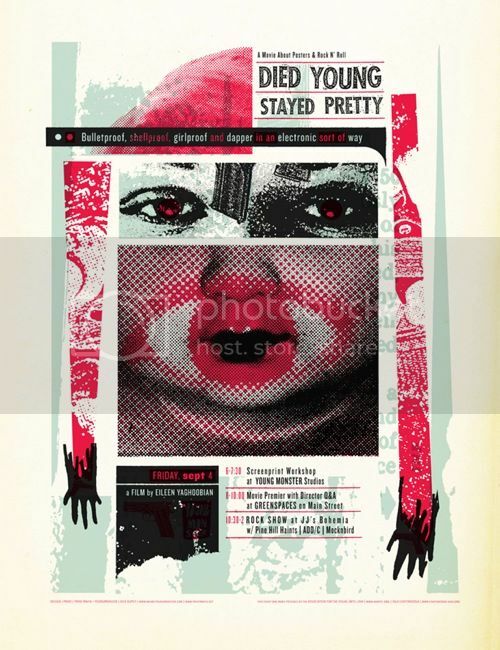 » Archive "Died Young, Stayed Pretty" in Chattanooga, TN - OMG Posters! On Friday, September 4th, design team Young Monster (Zach Hobbs, Scott Campbell, and Nick DuPey) will team up with the AVA and the AIGA to bring Chattanooga, TN a wonderful night of poster-related goodness. From 6:00-7:30pm, they will host a workshop that will teach people the basics of screenprinting, plus let them pull their own custom variant of that night’s poster. 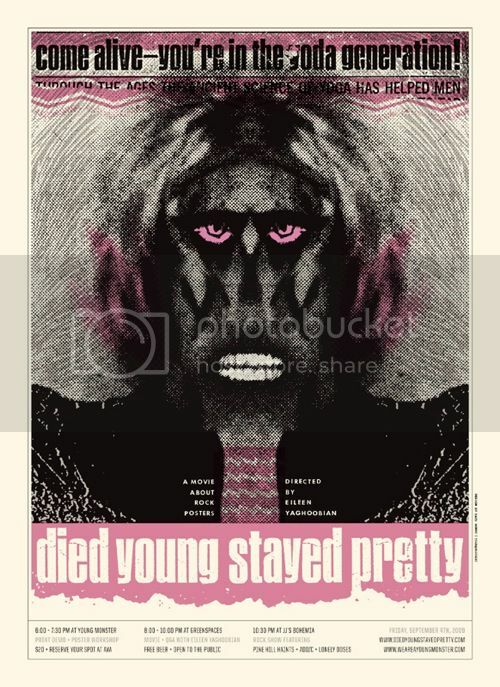 Then at 8:00pm, director Eileen Yaghoobian will be in town to show her poster documentary, “Died Young, Stayed Pretty”, with a Q&A session to follow. After that, the night will be capped off with drinks and bands. Get more info about the event at AVArts.org. Gonna be a great event! We have also been asked to curate a gallery poster art show here in March – just to plant a seed in everyones ear. I saw this movie the other night in Portland. Sorry, but it’s awful. Don’t waste your time. I love the scene, but I couldn’t wait for it to end. If you must, wait for the DVD. American Artifact is much better. bummer to hear opinions about the film. I’ve been looking forward to seeing it. I hope that Q&A session is recorded. In spite of all the community talk – I am interested and I think it will draw interest into the the poster community. These are some unique posters, I can’t wait to see this film!